Welcome. It's a treat to be hosting Poetry Friday today, and I send thoughts of lemonade and gingersnaps to you all! Yesterday, W. S. Merwin was named the new Poet Laureate of the United States. From 1937 - 1985, this position was called "Consultant to Poetry for the Library of Congress, but the newer title is "Poetry Laureate Consultant to Poetry for the Library of Congress." At The Writer's Almanac, you can read many of W.S. Merwin's poems. For today I recommend "Berryman" and also the notes afterward. Another soul-stirring Merwin poem is "For the Anniversary of My Death". If you'd like to read up on some of the past Poets Laureate of the United States, you may do so here. Today is Day #93 of a-children's-poem-a-day at The Poem Farm, and it's the sixth Poetry Friday featuring a poem about poetry. 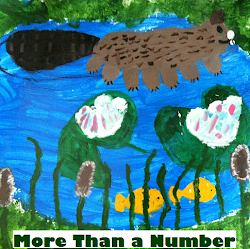 Welcome to Theresa, in with her first Poetry Friday post: some thoughts on the end of school and a "sampler platter of poems" at Looking for the Write Words. Waiting for summer in Seattle, Julie Larios offers up "Summer Song" by William Carlos Williams. Check it out at The Drift Record. From her hotel room, Tabatha Yeatts of The Opposite of Indifference wishes all of us a "Happy Poetry Friday!" Toby Speed brings us some "scrips and scraps" of poetry insights picked up from the poetry-blogging community and an original poem about water. They're over at The Writer's Armchair. Unable to find the right poem for today, Mary Lee wrote a poem about not finding the right poem at A Year of Reading. Linda Kulp offers up an original poem about summer at The Write Time. Diane Mayr has three posts for us today. At Random Noodling, she has an original poem, "Fireworks", Kurious Kitty celebrates W.S. Merwin's appointment with his "From the Start", and at Kurious K's Kwotes, she gives us a Merwin quote. Ruth has poems from Wimbledon at her blog, There is no such thing as a God-forsaken town. 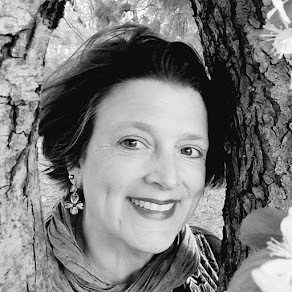 Laura Shovan at Author Amok brings us Jeannine Atkins with a talk about poetry and her book BORROWED NAMES: POEMS ABOUT LAURA INGALLS WILDER, MADAM C.J. WALKER, MARIE CURIE AND THEIR DAUGHTERS. Jone offers an original abecedarian inspired by her granddaughter's surgery yesterday. It is at Deo Writer. Ms. Mac features another Poet Laureate, Ted Kooser over at her blog, Check it Out. Preparing to accept the Sydney Taylor Gold Medal for Younger Readers for her book NEW YEAR AT THE PIER, April Halprin Wayland shares her poem "Acceptance Speech" over at TeachingAuthors. The house is dancing over at The Write Sisters blog today. Check it out here: The Write Sisters. Jules is in with CHICKEN SCRATCHES at Seven Impossible Things Before Breakfast. Elaine Magliaro has an original poem titled "Things to Do If You Are an Orb Spider" at Wild Rose Reader. She also shares the help and advice she received from Grace Lin and Janet Wong in regard to her new THINGS TO DO poetry collection. Elaine also has an original book spine poem about friendship dedicated to Grace Lin and Janet Wong over at Blue Rose Girls. 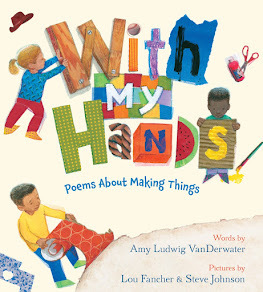 After her fabulous time at the ALA poetry blast, and with a new profile picture taken by Laura Purdie Salas, Andromeda Jazmon brings us a review of Tony Medina's I AND BOB MARLEY over at a wrung sponge. The Stenhouse Blog offers Billy Collins' "Introduction to Poetry". Irene Latham is in with some wise words about how to LIVE YOUR POEM at Live. Love. Explore! Today Heidi Mordhurst reflects on her visit to the Poetry Blast at ALA and shares a reverso, inspired (as always) by Marilyn Singer. You can read her post, "blasted poets!" over at My Juicy Little Universe. Doraine Bennett joins us with a selection from George MacDonald's book AT THE BACK OF THE NORTH WIND, "The True History of the Cat and the Fiddle" at Dori Reads. Karen Edmisten is in with Richard Wilbur this week at The Blog with the Shockingly Clever Title. Home from the ALA Poetry Blast and sporting a new profile photo taken by Laura Purdie Salas, Andromeda Jazmon joins us with a review of Tony Medina's I AND BOB MARLEY over at a wrung sponge. Janet Squires recommends DOGKU written by Andrew Clements and illustrated by Tim Bowers at her blog All About the Books with Janet Squires. 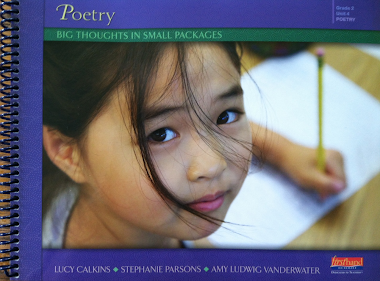 TeachingBooks.net shares a post on rhythm in poetry and an audio clip of Sharon Creech reading from her book HEARTBEAT. Find both at TeachingBooks.net. Please leave a note and link about your Poetry Friday post, and I will update our list throughout the day. Thank you to my husband Mark for some html hitchhiker work today! Hi Amy, Thanks for hosting. I'm hitchhiking in with two this week. Thanks for hosting and your poetry posts that I look forward to everyday! Here goes, my first Poetry Friday: some end of the school year thoughts and a sampler platter of poems. Thanks for hosting this week's Poetry Friday, Amy. Typing this in a dark hotel room while my family sleeps...just wanted to say happy Poetry Friday! I love the idea of poetry as a hitchhiker. Thanks for your Merwin links, and I share in celebrating the news of his appointment. Also, I will think of your hitchhiking image every time I "pick up" a poem! Happy Poetry Friday, dear hostess! Are we going to have a party next week when you hit poem # 100?!?! I think we should! Love the hitchhiking poems (I'll soon have to switch to a bus to carry all the ones inside me!!) and thanks for the heads-up about the new poet laureate. I couldn't find the right poem for today, so I wrote a poem about not finding the right poem. Hi Amy! Love your poem for today! Random Noodling I have an original poem, "Fireworks." Kurious Kitty celebrates W.S. Merwin's appointment with his "From the Start." And, at Kurious K's Kwotes I have a quote by Merwin. Have a safe holiday, everyone! Thanks for hosting, Amy. I really enjoyed your hitchhiking poem! Thanks for hosting. Today I have poems from Wimbledon. Hi, Amy! Happy July 4 and thanks for hosting. Jeannine Atkins visits Author Amok today. We're talking poetry, and her book: Borrowed Names: Poems about Laura Ingalls Wilder, Madam C.J. Walker, Marie Curie and Their Daughters. Thank you for hosting, Amy. Thanks for hosting, Amy. I love the idea of a poem being a "hitchhiker." The house is dancing over at the Write Sisters blog today. I'm in with CHICKEN SCRATCHES this morning at http://blaine.org/sevenimpossiblethings/?p=1961. Thanks for hosting! I always look forward to reading your poems about poetry. I love the ending of this Friday's poem! Thanks for doing the roundup. At Wild Rose Reader, I have an original poem titled "Things to Do If You Are an Orb Spider." In the post, I also talk about the help and advice I've received from Grace Lin and Janet Wong in regard to my new THINGS TO DO poetry collection. Amy, thank you for hosting, your Merwin links, and for the poem: I like thinking about the poems that hitchhiked and never left. This week on the Stenhouse blog we have Introduction to Poetry by Billy Collins. Enjoy! I am completely enamored of poem as hitchhiker! Wonderful!! Today I reflect on my visit to the Poetry Blast at ALA and try a reverso, inspired (as always) by Marilyn Singer: blasted poets! I'm back! At Blue Rose Girls, I have an original book spine poem about friendship that I dedicated to Grace Lin and Janet Wong. Thanks for hosting, Amy! I'm in with Richard Wilbur this week. It's here. Amy, thanks for hosting today! I am in with a review of Tony Medina's I AND I BOB MARLEY. 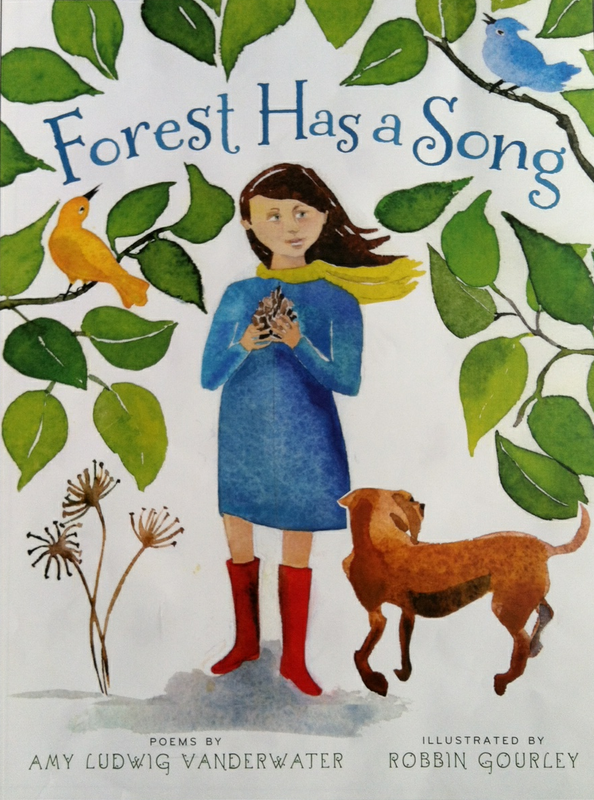 I had such a wonderful time at the ALA Poetry Blast on Monday that I had to blog about this great poetry book! And I have to thank Laura Salas for taking so many great photos, one of which I am snagging for my profile pic. So now I can be known by my happy poetry blast face! I've posted a silly poem, "The True History of the Cat and the Fiddle"
(from At the Back of the North Wind by George MacDonald) at http://dorireads.blogspot.com/ Thanks for hosting. Thanks for hosting. My selection is the book, "Dogku," written by Andrew Clements and illustrated by Tim Bowers. This story of Mooch, a stray, is told entirely in haiku. The illustrations are lively and the fun-filled story is a tail-wagging good time. Amy, congratulations on your poems in Sharing the Seasons. I hadn't realized the connection when I posted about this wonderful book. Thank you, everyone, for coming to this week's Poetry Friday! It was great to host for the first time.